Background: Urban and industrial wastes can play an important role in heat and power generation, substituting a large part of conventional fuels. However, combustion of these materials may create operational and environmental problems related to their inorganic constituents. 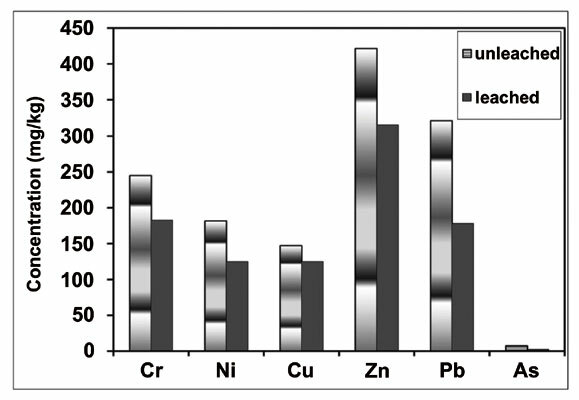 Methods: In this work, the slagging/fouling propensities of ashes from municipal and animal wastes were determined through the use of a combination of techniques, such as X-ray diffractometry, ultraviolet and visible spectroscopy, atomic absorption spectroscopy, inductive coupled plasma-mass spectroscopy and fusibility analysis. Control methodologies for mitigating deposition tendency in boilers were applied, i.e. leaching of raw fuels with water and blending them with higher quality woody residues. Results: The results showed that urban and industrial waste ashes were enriched in Ca, P, Si and Mg minerals and micronutrients Cu and Zn. Their alkali-induced slagging/ fouling potential was high. For systems operating below 1000oC, no deposition problems were anticipated. Mixing these waste materials with an agricultural residue led to the production of ashes with melting behaviour and deposition tendency between those of the individual samples. Conclusion: Leaching of raw materials with water resulted in a significant decrease of problematic elements K, Na, P, S, and Cl in ashes and consequently in a great reduction of their slagging/fouling propensity. Municipal wastes, animal wastes, ashes, slagging/fouling, industrial waste, bioenergy.